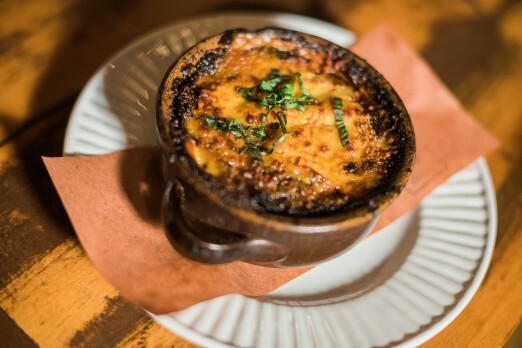 Let’s Warm Up at Vite Vinosteria! Some nights call for serious comfort food. We’re talking warm, stick-to-your-ribs meals that leave you feeling happy and satisfied. That’s exactly the kind of dining experience the WHA team was treated to last week on a chilly night at Vite Vinosteria, the charming Italian restaurant and wine bar nestled on 34th Street and 31st Ave. We’re thrilled to share our favorites from the evening with you. Major shoutout to Marielle Solan for all of the stellar photos! 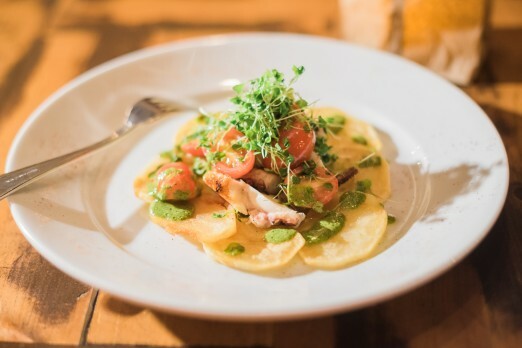 We started with the Polpa Alla Griglia, a potato and green salad served with octopus. All of the WHA women are big fans of octopus, and were chatting about our favorite places in the neighborhood to order it. 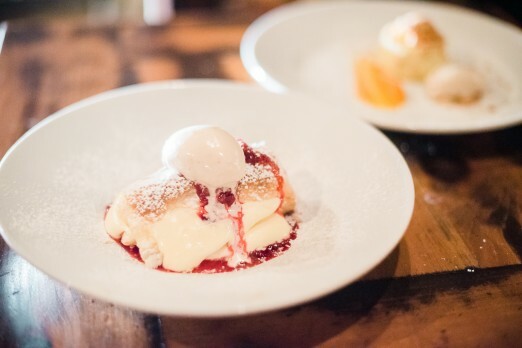 This dish received two very enthusiastic thumbs up from all of us. I mentioned this was a comfort food meal, and the Ricotta Truffle Focaccia was just what we needed: warm rich bread, creamy ricotta cheese, and salty prosciutto all baked into the perfect appetizer. 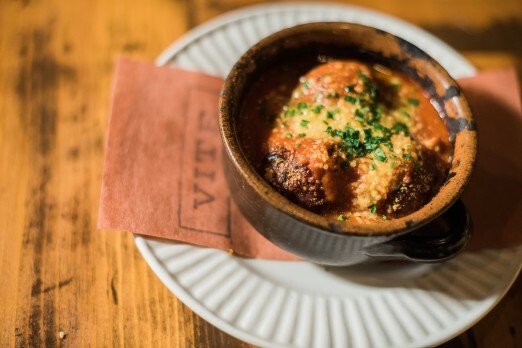 When you visit a place like Vite, the trip would just seem incomplete without trying the meatballs, right? 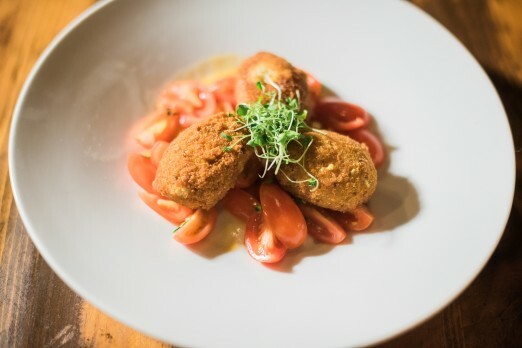 Their version, the Polpette Con Pecorino, did not disappoint: they were traditional enough to evoke the nostalgia of childhood family dinners, but memorable enough that we’d like to return and order more. Eggplant Parmesan is one of those dishes that’s best left to professionals. Vite’s version, the Melanzane Alla Parmigiana, demonstrates why. 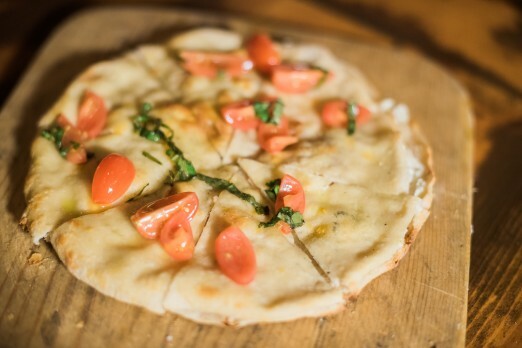 It’s every bit as good as it looks: saucy, cheesy, and full of bubbly goodness. 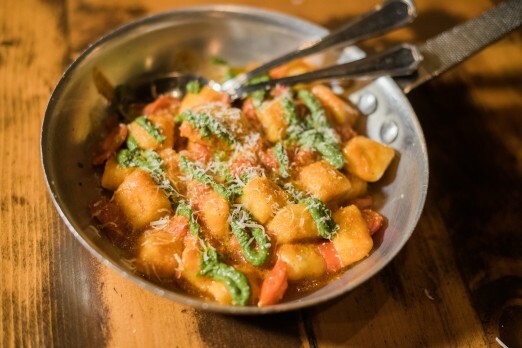 Is there anything better than fresh pasta? 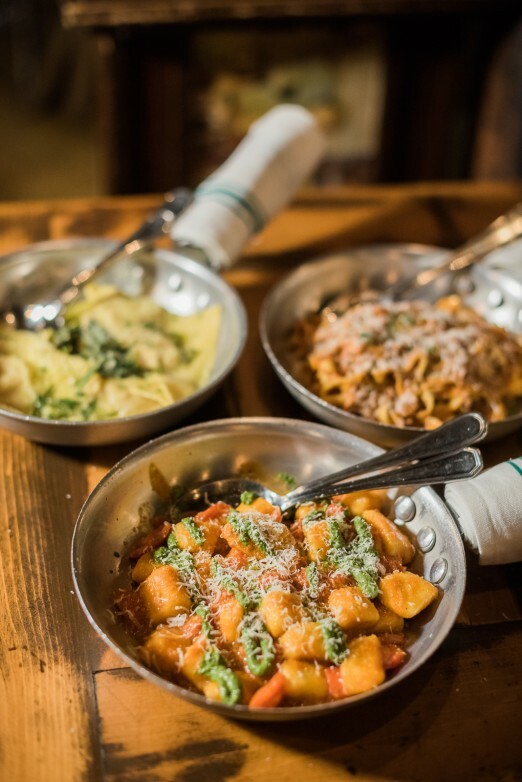 If the trio of Gnocchi Di Patate, Tagliatelle Bolognese, and Faggottini Di Zucca are involved, is the answer is definitely no. The Faggottini Di Zucca was the most unique pasta dish of the evening, and also my personal favorite. 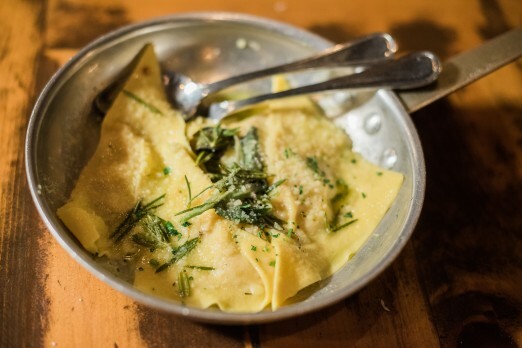 It’s essentially a thin pumpkin/taleggio cheese ravioli in a butter/herb sauce. The unexpected sweet/savory nature of the pumpkin was a nice surprise, and it was fantastic stuffed into the ultra-fresh pasta. Long, thick, fresh noodles in a meaty tomato sauce: how can you go wrong? 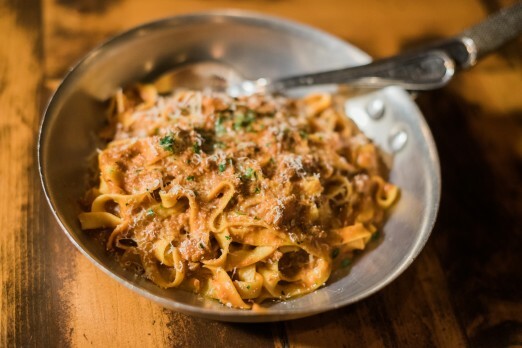 The Tagliatelle Bolognese is a piece of pasta heaven. Enough said. Despite all the Italian goodness we had been served, we somehow had room for dessert. And good thing: Vite’s sweets are out of this world! 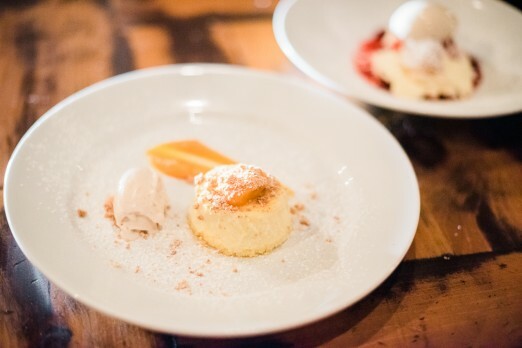 Also delicious were the Sflogliatina Al Fruti Rossi (a fruity custard/pastry) and Tortino Di Ricotta E Zucca (a sweet cheese flan.) 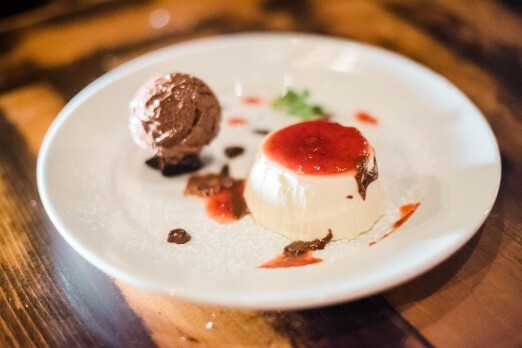 Both are delightful and special occasion-worthy, although I’m afraid I was a little preoccupied being blown away by the Panna Cotta to fully appreciate them! We were pleasantly surprised to end our meal with a special drink: a friendship tea. 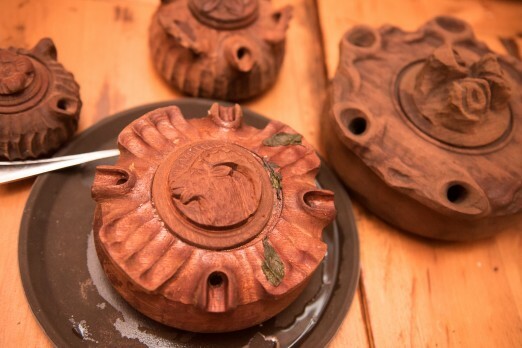 This wasn’t just any tea, and it wasn’t served in just any mug. 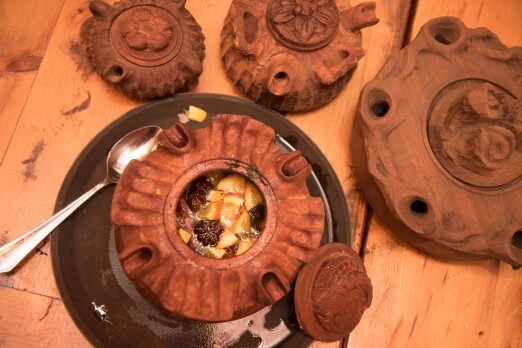 This warming, digestive drink contained cinnamon, citrus, star of anise, grappa and sambuca, and was served in a grolla, a traditional wooden drinking vessel from the Val D’aosta region in Italy. 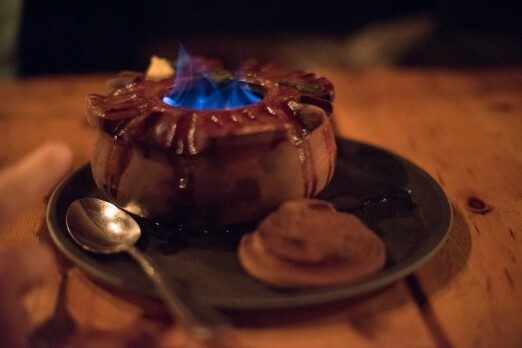 The concoction was theatrically lit on fire by our host, and we took turn sipping out of the different spouts. We had a blast doing so! Major thanks to the owners and staff of Vite Vinosteria for a fabulous meal. We’ll be back! This post was sponsored by Vite Vinosteria. Thank you for supporting the businesses that support We Heart Astoria!